Desks, boardroom tables, shelving units… Probably some of the first things that would come to mind when furnishing a new office. However, here at Glasslab, we think about every aspect of your office and stock several ranges of glass products. Once you’ve got the all-important desks and shelves set up, what about a coffee table? Yes, we know you’re furnishing an office, and not your living room, but a coffee table can be quite an important focal point for your space, whether it’s for your team of employees or for your visitors and clients. Aesthetically well designed furniture can really boost the environment of your office space, and a sleek modern coffee table is a nice piece for your staff to sit around at break times. Or maybe it’s there for your reception area, or somewhere good for any potential clients to wait before a meeting, while giving them a good impression of your business. The Ochi coffee table is a simple but stunning design that can be the perfect centre-piece of any waiting room or reception area. The Ochi is quite low standing, but all the same stylish. It measures 400mm x 700mm x 260mm, and is made with 12mm thick clear toughened glass. 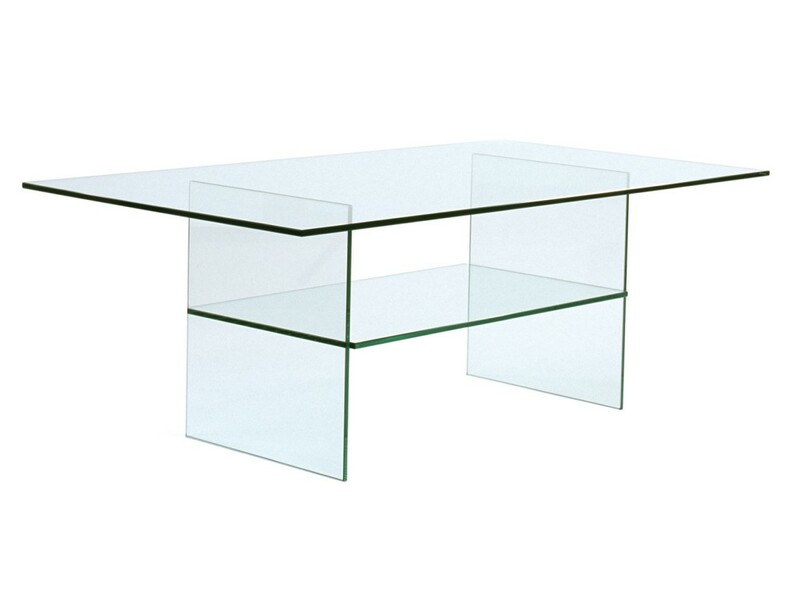 The design of the table features one large pane of glass overhanging two smaller panes, which act as legs for the table. A similar design in our range is the Skala coffee table. As with the Ochi, the main structure of the table is a surface pane of glass, overhanging two other panes which are used as legs. However, unlike the Ochi, the surface pane doesn’t just overhang lengthways, but also widthways. As well as this, there’s also a shelf between the legs, allowing you to push away any clutter to a lower level. 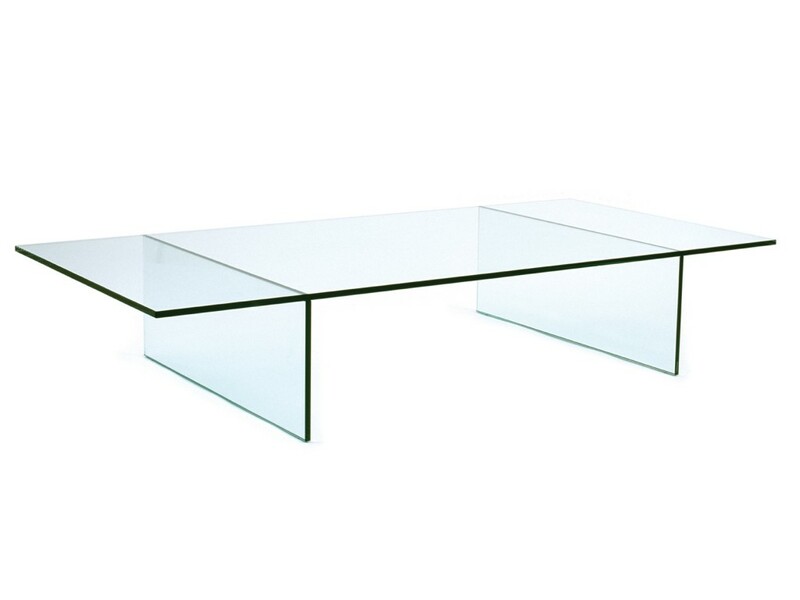 The Skala coffee table measures at 1200mm x 700mm x 420mm, and is made with our standard 12mm clear toughened glass. As well as this product, we also have another Skala design in our coffee table range. The Skala side table measures 530mm x 530mm x 520mm, and shares similar design aspects. The same overhanging qualities in the surface pane, and a shelf between the two legs. However, it’s designed to fit snugly at the end of a sofa or in the corner of your reception area, and therefore is much smaller than the coffee table, while sporting a square shape, rather than rectangular. Up next in our coffee table range is the Meranta. 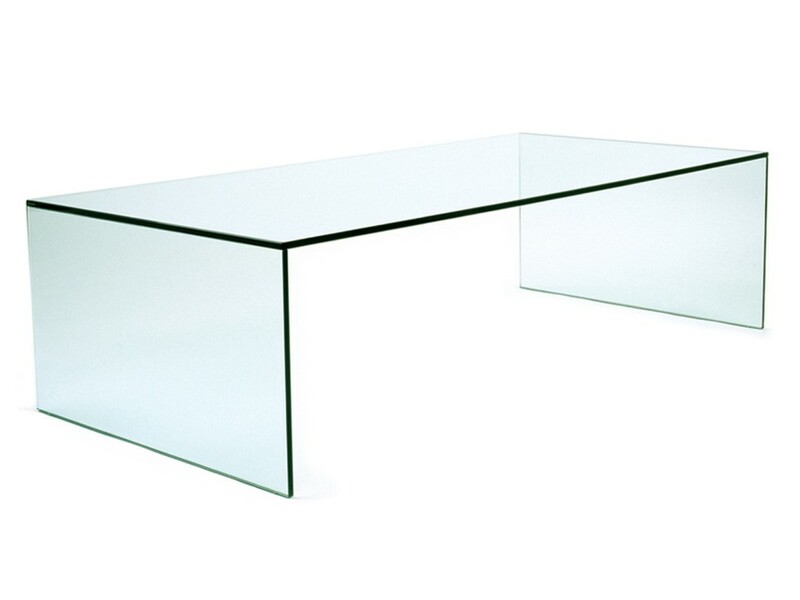 Unlike the Skala and the Ochi, this table has no overhang at all, with the main surface pane of glass meeting the leg panes right at the edge. This gives off a completely smooth feel to the table, and is definitely one of the sleekest, and simple but brilliant designs in the coffee table range. Finally, after all of our straight edged, rectangular designs, we move onto the Athos coffee table. This is the most unique design in the range, with the kidney shaped surface making for an eye catching piece of furniture. The kidney shaped pane of glass is held up by two glass legs. In between the two legs is a curved shelf, and the coffee table measures up at 140mm x 800mm x 430mm. As with all of our pieces of furniture, we offer a dedicated bespoke design service, meaning if you like one of the designs in our coffee table range, but you need it in a different size, we can help. Also, if you have something more unique in mind, we can help you create a completely new design. Find out more about our bespoke service here.